On or off-street, multi-storey car parking or those fortunate enough with private garaging cater for many of the many cars in London. Whether classic, prestige or an everyday car you don’t use everyday, all cars need to be cared for when you’re not using them. Living in London can create time, space and security concerns when it comes to looking after your pride and joy in London. Professional car storage companies provide services catering for all areas, especially London, offering affordable and easy solutions. Here are some of the reasons why it’s important to consider professional car storage in and around London. One of the main concerns of car ownership in London I would say is the security of your car for both theft and damage. We’ve all seen cars keyed; number plates torn off or cabriolet roofs torn parked at the side of the street and winced. What can you do? Whilst a private garage in London might protect your pride and joy from vandalism, the elements including tree sap, leaves and bird droppings, it will only keep it dry and out of direct sunlight. There is a lot more to maintaining a vehicle in tiptop condition than simply parking indoors, especially when considering classic car storage. We need to consider the environment, flat batteries and time to manage these. When you’re not using your car in London another aspect to consider is how well your car ages whilst not is use, as bizarre as it might sound; cars are designed to be used. Long term car storage at your home may create some unwanted, and frustrating problems if you leave the car unattended and unused for a long period of time. A lack of use can create problems with batteries going flat, tyres developing flat spots and the cars ancillary systems developing faults, including air conditioning systems developing funny smells. Living in London also has its time constraints and can limit how we maintain and care for our cars. We are all very busy with our own lives and often overlook when our car may need a service, MOT, taxing or repairs undertaken. Whilst some garages offer a collection and delivery service, this still requires our input to monitor and manage these intervals and take time out to make appointments with the relevant supplier. A viable alternative would be to keep your car with a professional car storage company. 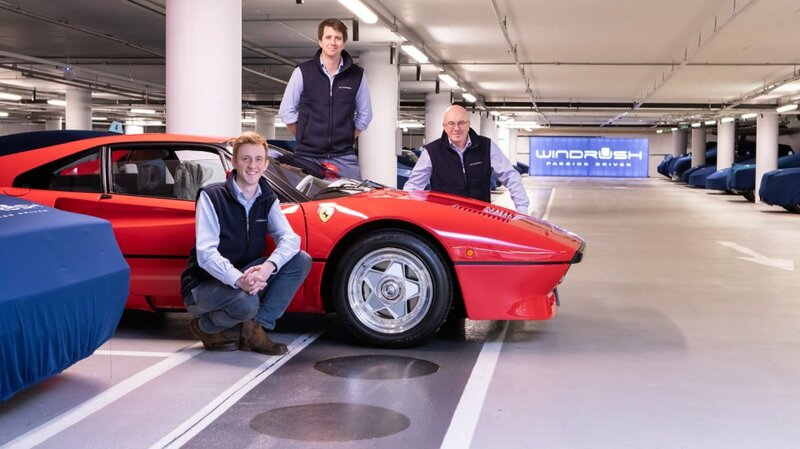 These companies often have secure, locked and alarmed facilities, and offer a wide range of expertise when catering for clients of all needs from short term to long term car storage and everyday to classic car storage. Storage areas are often climate controlled to prevent rust forming without drying tyres and leather excessively. Batteries can be connected to automatic battery conditioners and regular exercise programs to counter potential lack of use problems, which can occur often with long term car storage at home without the appropriate attention. Exercising the car creates similar conditions to using the car but within a safe environment using an indoor rolling road. Wheel bearings and tyres are rotated with brakes used and air conditioning systems turned on lubricating themselves avoiding the nasty smell linked to a lack of use. Trusted car storage companies can be given a spare key for the car so even after a weekend of fun with your pride and joy they can collect from your chosen location with their transporter, return to their facilities and take care of everything from routine services through to full restorations without eating into your time. Photographic updates of progress can be emailed to clients without the hassle of chasing contractors and arranging work yourself. With many car storage companies based within a two hour drive of central London they make for a fantastic excuse for a trip out of the capital and a pub lunch in glorious surroundings. With secure, climate controlled facilities, exercise programs and an array of services caring for your car on offer its easy to see why people are increasingly trusting their pride and joy with the professionals. If you’re pressed for time many companies offer collection and delivery services to suit you. A professional car storage company can save you valuable time and maintain your pride and joy with the utmost care and attention. Windrush Car Storage look after many clients who are from London. Based in the heart of London and the Cotswolds, we specialise in the storage of all types of prestige, classic and everyday cars, from short term to long term car storage.